We work slow and methodical to protect our customers and assure them with the safest, most effective products they deserve. The fact is there aren’t too many requirements by law to test for contaminants like pesticides, microbes, mold, byproducts, spoilage or any impurities in the cannabis industry right now. And since we’re honest, any kind of trashy trim can be turned into something appealing. It can be tough to know what’s what in this saturated market! If you believe like us, the upstream plants completely determine the quality of the final product. We have never used cannabis that was grown with synthetic pesticides and we never will. We strictly inspect our cannabis and carefully prepare it before each extraction to preserve the strain-specific tendencies, blend precise cannabinoid formulations and create extremely accurate dosages. We may have an easy-going nature, but our procedures and batch records are the most rigorous in the industry.  We at Lucky Turtle promise to have your back! We will never sacrifice the highest quality trim we can find or settle for the convenience in quicker, cheaper extraction processes. We guarantee that our products are supplied with the cleanest, strain-specific plants and you will always get a safe, consistent product you can trust. Our purpose is our promise. Trust the Turtle to take care of you.